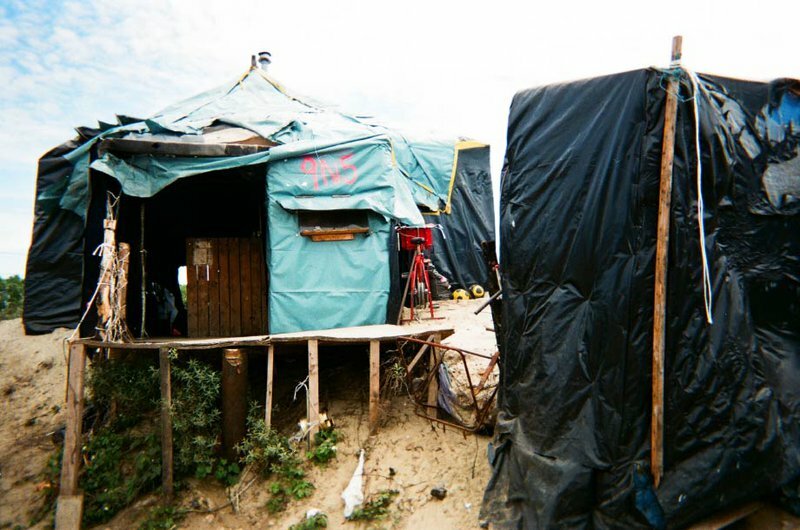 Residents of the Jungle camp in Calais collaborated with King’s College London to document daily life in the camp. Come see what the French authorities destroyed in October 2016. I think it is good what you are doing, because maybe one day the Jungle is gone, and then it can be remembered via work like yours. 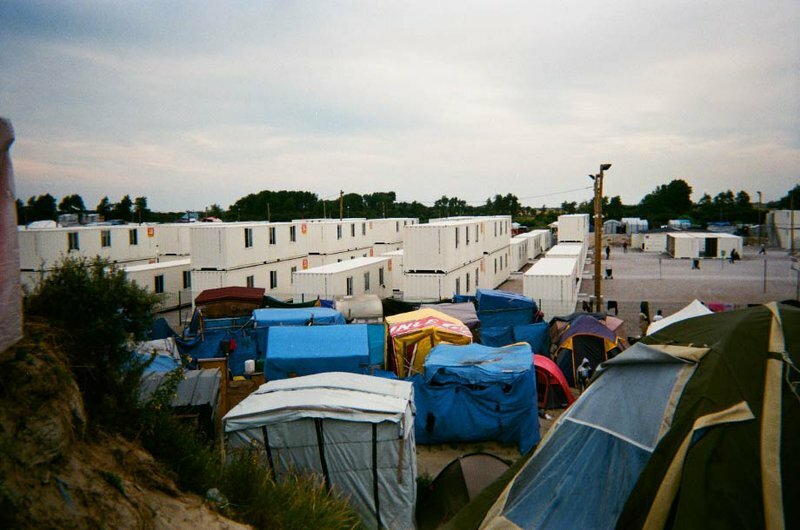 When we planned our research trip to the unofficial refugee camp in Calais in July 2016, we knew that the camp’s days were numbered, but we did not realise how quickly it would be dismantled. It was with the intention of documenting daily life and the experience of migrants living there that we set out to conduct our research. 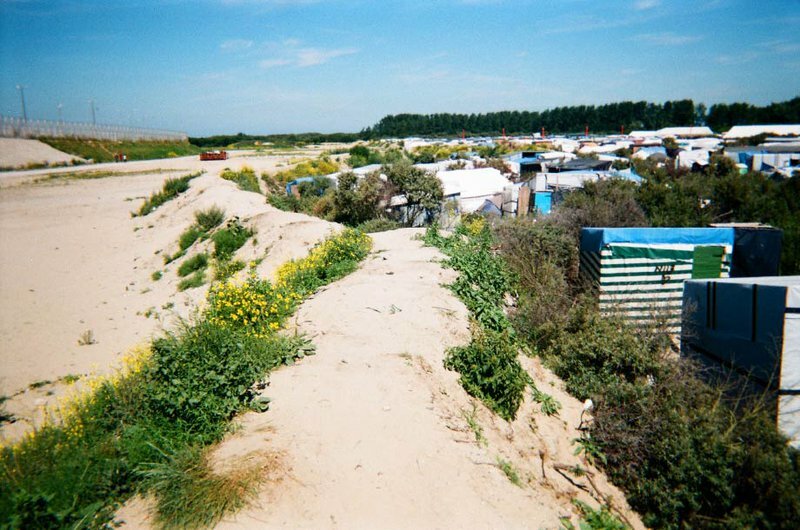 In light of the destruction of the camp in October 2016, we hope that this research will ensure that the Calais camp and the experiences of those living there are not forgotten. Our principal aim when we began our research was to present a picture of the camp which was painted by the residents themselves. The camp has been well documented; security issues, political stances and actions, as well as descriptions of the camp and the migrants living there. While this documentation is important for understanding the camp in Calais, we wanted to gain a deeper understanding of what it was like to live there. 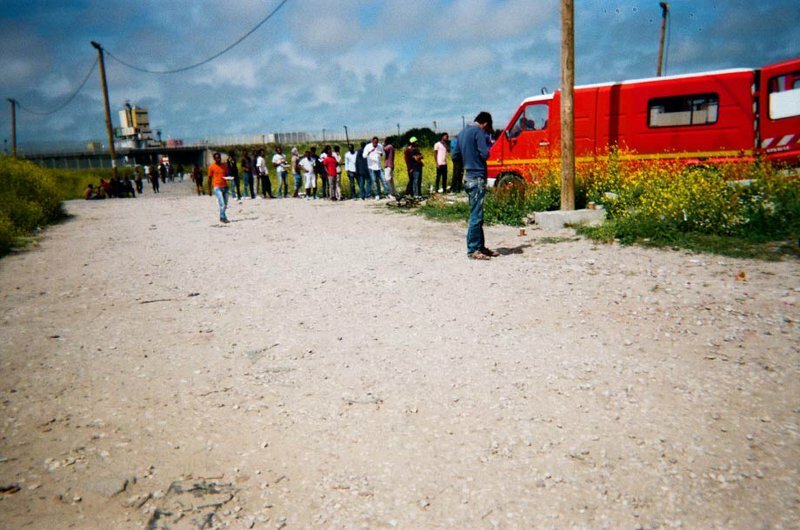 To achieve this objective, we used a different and innovative approach called auto-photography, which provided migrants in the camp with the tools to share their perspectives and experiences. 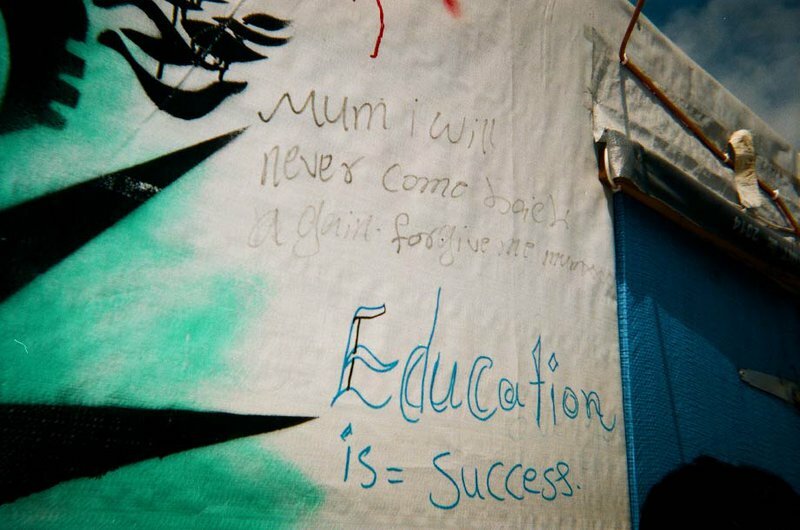 Through photographs taken on disposable cameras by camp residents themselves, we were able to see the camp through their eyes, rather than through just our own. Residents were able to take photos without the presence of the researchers, thereby allowing them the control to create a visual narrative. In addition, this method enables a more reciprocal interview approach, with the participant guiding the conversation based on the photos they have taken. While us as researchers still asked specific questions and ultimately interpreted what has been said, we believe this method provides participants with more autonomy. The following images are a selection of the photos taken by residents of the camp that show a variety of aspects of life in the camp. Many of the photos show daily life and routines in the camp. Others demonstrate some of the more complicated issues of being a migrant, such as the difficulty of navigating the asylum process. The included captions incorporate quotes from residents, information gained through interviews, and our own experiences. It is revealing that this “this is our tent” was the only comment made about this photo. “This is ours” was the overriding message. Residents did not know whether they would have a shelter to go back to each night; some were destroyed in fires, some collapsed into the mud after heavy rainfall. 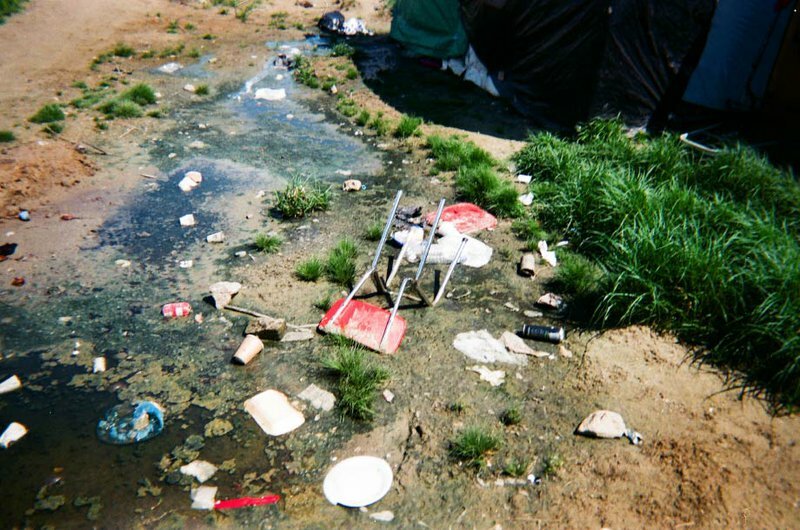 This photo is also indicative of the makeshift nature of the majority of the camp, built from whatever materials could be found. For the last six months, building materials were not allowed into the camp at all. We were welcomed into many shelters and treated with great hospitality. While these shelters were not permanent homes for residents, most aspired to keep their shelters and tents tidy and decorated with photos of home and family. The open space on the left of the sand dunes used to be filled with tents and shelters. It was cleared by authorities in January 2016 to create a ‘buffer zone’ between the camp and the motorway. The UK-financed fence, designed to stop migrants from jumping onto lorries on the motorway, is just visible in the distance in this photo. The residents of the camp turned this attempt to securitise the area into the opportunity to create a sense of community. During the summer, there were regular football and cricket matches and there was an organised sports day for the younger residents whilst we were there in July. Organised by volunteers, there was one simple rule guiding sports day: all teams had to be made up of mixed communities. The sand dunes had a similar dual-use by authorities and migrants, with the authorities utilising them as look-out points and residents taking advantage of the better cell phone signal found on higher ground. This picture shows the tea van that provided tea to residents in the morning and afternoon. Most of the residents relied upon the food and supplies from the distribution centres for sustenance, which were characterised by long queues and wait times. This van not only provided tea for the residents, but also acted as a community space for residents to meet others living in the camp as well as volunteers. Many residents mentioned the musical instruments and board games supplied by the tea van as a way to relax. While a big part of the camp’s infrastructure was based around volunteer efforts, it was predominantly built by the residents of the camp. They built shops, cafés and restaurants, which provided another source of food. “We overcharge the volunteers a bit so we can give free meals to new arrivals”, a restaurant owner told us. The resident who took this photo described it as the “bad face of the camp”. Many residents of the camp were particular about cleanliness and kept their own living spaces as sanitary and tidy as possible. On the other hand, communal spaces were much harder to keep clean and maintained. The main issues included rubbish, toilets, and the presence of rats. Volunteers, residents and city authorities jointly sought to collect rubbish and cleaned toilets, but despite their efforts it was difficult to keep the camp hygienic due to the continuously increasing number of residents. The “bad face of the camp” also refers to aspects of the camp which could easily be unseen during the day. The residents sometimes spoke about clashes between different gangs that existed within the camp and warned us against being in the camp after dark. We were told of violence and looting, and how residents had to be careful to not lose the few belongings that remained with them. The resident who took this photo also wrote the top line of graffiti. It represents a harrowing message that returning home is often not an option for many, and asks for forgiveness from those left behind. Many residents of the camp expressed the sadness and uncertainty in leaving their homes, friends and family. The resident who took this photo spoke to us about missing his mother and trying to speak with her on the phone twice a week. Graffiti is a common sight throughout the camp. It often expresses similar messages of pain and hope, and is a way for migrants to display their feelings. One resident commented that those who come to the camp as volunteers and researchers often experience the warmth and kindness of residents and therefore, “cannot see all the pain and sadness in the camp”, particularly of those constantly worried about their family at home. This photo poignantly expresses the dual messages of pain (the first line) and hope (the second line) that we encountered throughout the camp. Pictured here is the école, or school. It is one of many places of learning that can be found in the camp, another prominent site being the library referred to as Jungle Books. Both the école and Jungle Books offer various language classes, primarily French and English, which are taught by volunteers. The resident who took this photo stated, “school is very special for me”. Many of those we met had been forced to quit university in their home countries, and were disappointed that their education had been cut short. Some residents we encountered had a bachelor, masters or other advanced degree, and felt frustration at not being able to use it. This photo shows the duality of official and unofficial structures in the camp. The foreground shows the makeshift structures and tents, which made up homes for the majority of the residents in the camp. The structures were built through a collaborative effort by volunteers and residents, and were constructed through a variety of materials. The container camp is in the background of the photo. 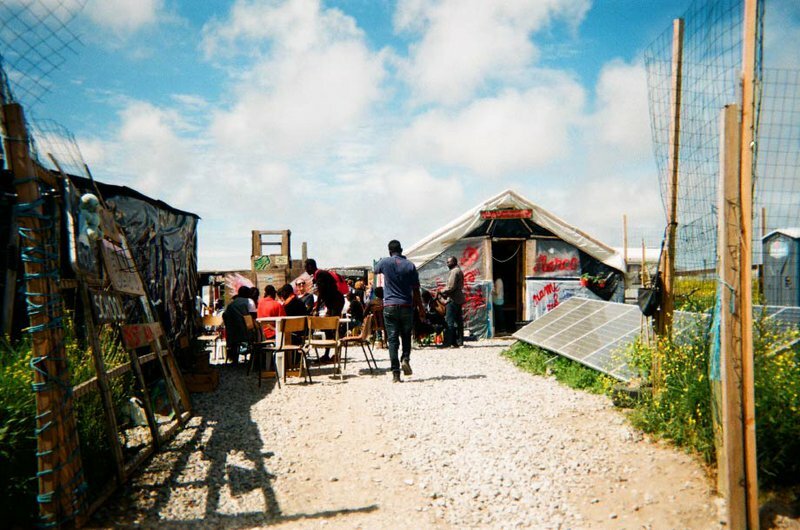 The French authorities built the container camp to replace the shelters torn down in an earlier demolition of the southern part of the camp, which took place on 29 February and 1 March 2016. Residents expressed mixed feelings towards the containers, many mentioned the positive aspects of electricity, cleanliness, beds, and toilets. However, when asked if they would want to live in a container, many responded “no”. The primary reasons given were fingerprinting and a lack of security. Gaining a place in the container camp was subject to registration, including giving palm prints. Many were afraid the collection of this biometric data might negatively affect a future asylum claim in the UK. Security was also a big concern. Many referred to incidences of looting and were reluctant to share a container with people they did not know or trust. The organisation of the informal camp was characterised by tight-knit communities, yet this sense of community seemed to be lacking in the container camp. A group of teenagers, most of them under 18 years old, were sharing a tent next to the fence surrounding the container camp. They did not eat food from the restaurants nor the distribution line; instead they preferred to cook food in their makeshift kitchen in front of their tent. They told us that cooking themselves allowed them to prepare food similar to what they were used to in their home country. Cooking food was also a way to express their agency by actively doing everyday things themselves instead of standing for hours in a distribution queue and passively waiting for their turn to have a ready-made meal handed to them. The residents in the camp shared food both within their community and across communities. This offers a different perspective to the focus on clashes between communities in some media. Tensions and trouble between communities did exist, but during our time in the camp we encountered Afghan, Sudanese, Pakistani, Eritrean, Iraqi, and Syrian communities helping each other and getting along well. Several of the photos taken by the residents included French flags. We had not noticed these ourselves until the residents pointed them out to us. There is a widespread perception that the residents were anti-French or that they did not want to apply for asylum in France. Whilst many were reluctant to claim asylum in 2015, the increasing police violence, border checks and destruction of residences – all of which reduced hopes of reaching the UK – led to more residents claiming asylum in France in 2016. Many of those who claimed asylum still lived in the camp whilst waiting for their papers to be processed. Part of the process concerns the EU Dublin Regulations: people must claim asylum in the first country of arrival in the EU, and can be sent back there. In practice, this means the country where they were first fingerprinted. Yet, this 'first' country can refuse to 'take back' the migrant, and/or the 'second' country can agree to process the asylum claim. This process can take months, during which time the migrants are in limbo, unsure whether or not they might be deported. Many chose to spend this time in the camp, partly because not having a proper address lowers the chance of being deported, but also because they preferred to live with their community. After the demolition of the southern part of the camp in March 2016, 291 children lost their homes and 129 children went missing. Between then and October 2016, when the entire camp was destroyed, the number of minors grew significantly. A large number of children face a very uncertain future. The perspective of migrants is an important voice that needs to be heard worldwide, and our time in the camp gave an overriding sense that many wanted their voices and stories to be heard and shared. 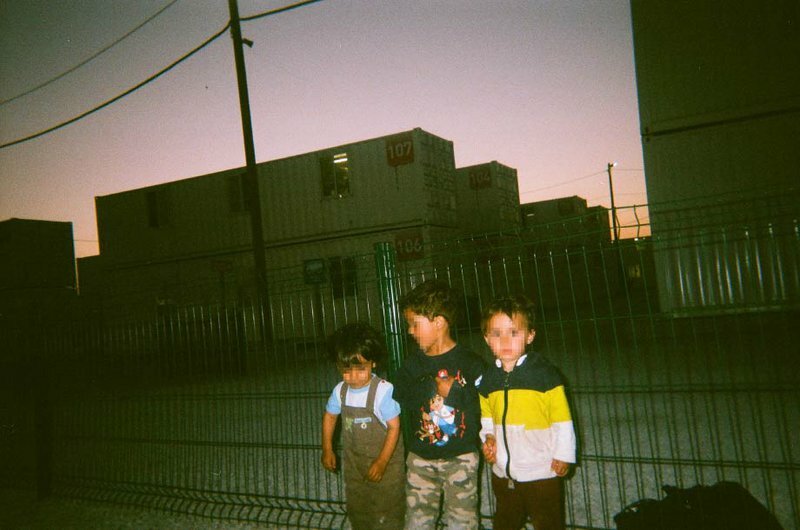 This photo research project allowed migrants to express their agency through telling their stories how they wished to tell them. One of the main conclusions we drew from our interactions with residents of the camp was their acute awareness of the situation in which they found themselves. They wanted to emphasise that they were not just letting this happen to them, but they were reacting and actively trying to inform themselves and navigate their way through the system. Every action and object which they described as special or personal was linked to their futures and they were consistently acting with this in mind – be it by taking language classes, learning more about the asylum process or building ties to a new country and nationality. 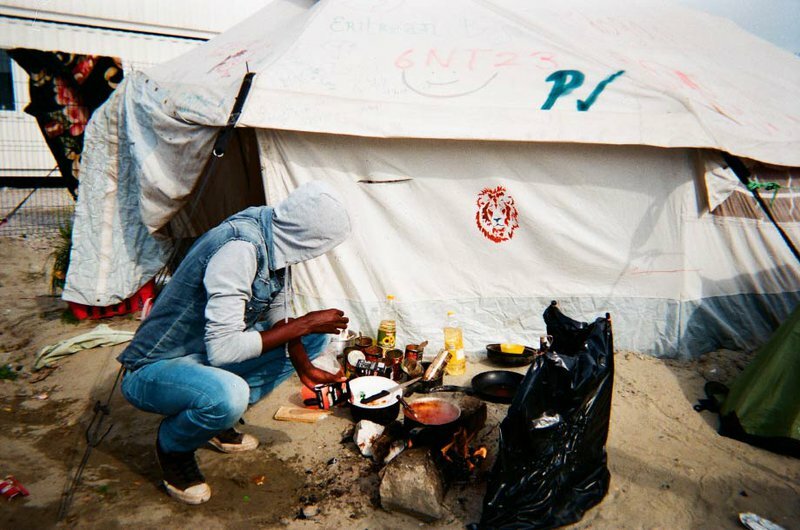 The Calais camp was destroyed in October 2016 and the thousands living there have now moved on to other countries or elsewhere in France, some remaining in limbo, others applying for asylum and others still returning to their home countries. A significant number of migrants still remain in Calais or Northern France, living in make-shift settlements and shelters. Calais, and northern France more broadly, have a long history as a border-zone between France and England. The desire to maintain this region free of any unofficial migrant camps is perhaps a naive one. 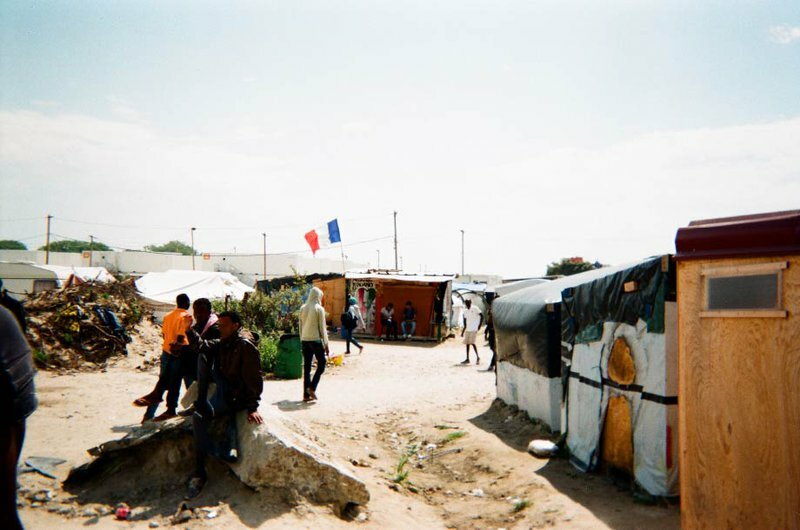 While there often is a political perception of the possibility of controlling, regulating and managing migrants, our research in the Calais camp underlined that migrants are not just bodies that can be moved around; they are people with a will and with hopes and plans for the future who are constantly interacting with and reacting to the policies imposed on them. They are displaced from where they call home, but they are nonetheless humans.